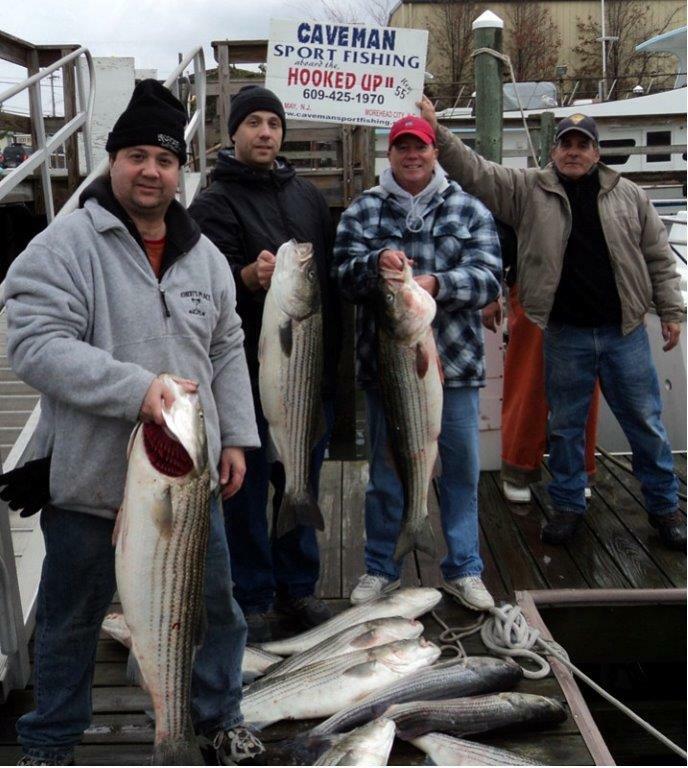 At the present time my gut feeling is the stripers will not show up in decent numbers in South Jersey and the Delaware Bay until sometime around the second week of November like they did last year especially with the warm weather this week. Because of this we are not running or booking any of our regular striper charters until November 9th at earliest but will do at least one exploratory trip on either Nov 6 or 7 for $75.00 per person plus tip for my mates Vinny and Ray who are without question two of the very best mates around when it comes to chunking and trolling trophy size stripers. 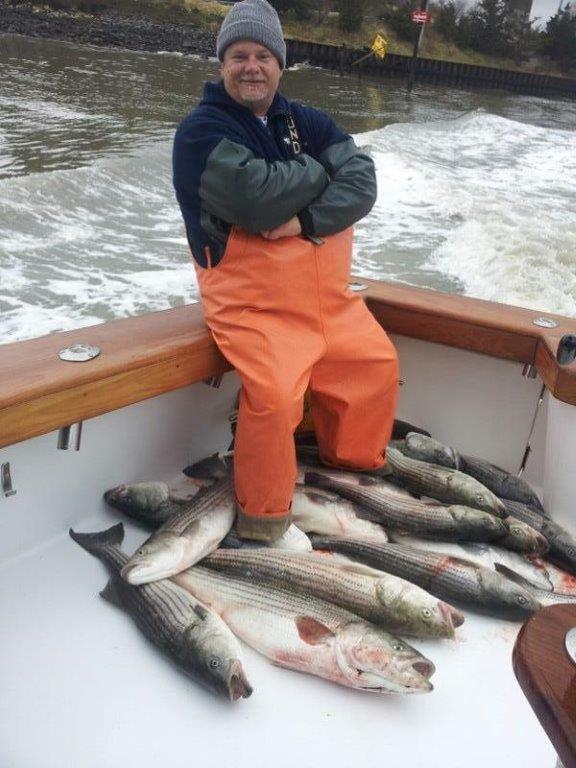 I mention trolling as last fall we slammed the stripers on almost every trip but we prefer chunking in the Delaware Bay much more than trolling so hopefully the chunk bite will be on fire like it was for us in the fall of 2012 after Sandy. 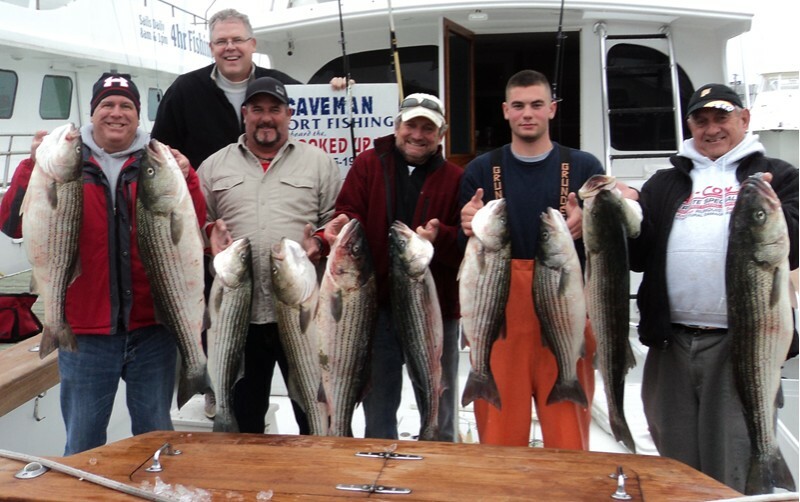 No matter how we target the larger stripers we have the skills and right tackle to put some great catches together for our customers and we have never went out beyond the 3 mile limit to catch stripers. 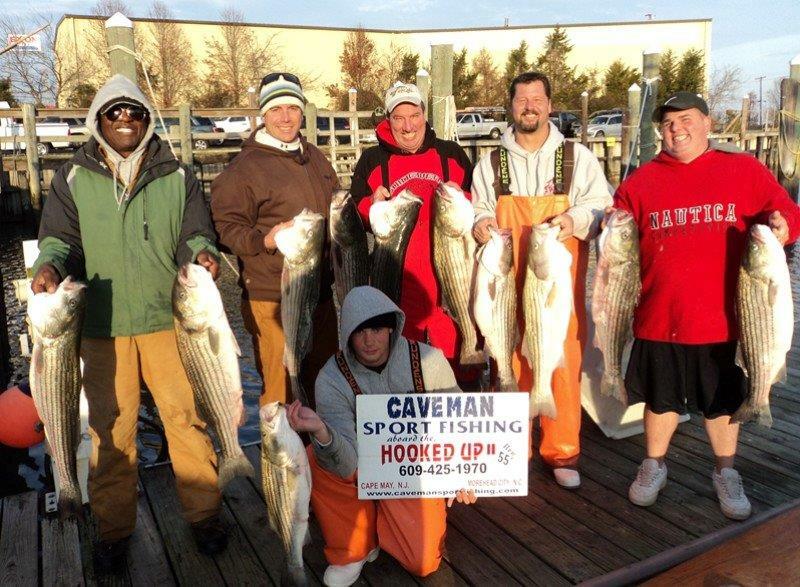 One thing is certain the Hooked Up II is without question one of the finest charter fishing out of South Jersey. It definitely makes late fall striper fishing more enjoyable once the weather turns cold and windy as we keep the salon a comfortable 75 degrees even on the coldest days. We only have 6 days left in November so if you would like to striper fish with us please contact us ASAP to reserve a date. 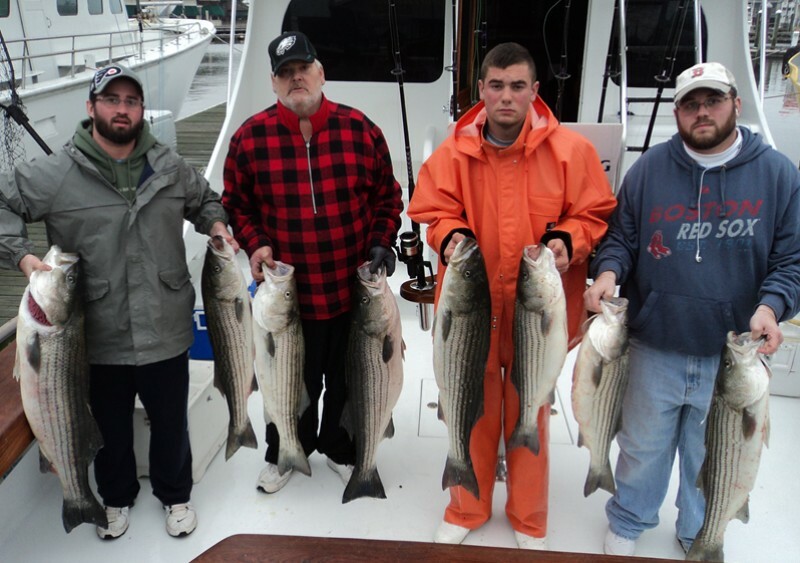 We do not do many open boat striper trips unless we do not book a regular charter so watch on Bass Barn under open boat trips or our Facebook when we plan to schedule some open boat trips later in November and early December.